Our range of products include tender coconut water processing plant and tender coconut water plant. We offer Tender Coconut Water Processing Plant to our clients. We offer Tender Coconut Water Plant to our clients. During the coconut water bottling process, the product is quickly heated to sterilization temperature to kill the harmful microorganisms, while still being able to retain the fresh taste in the coconut water. As per the orders, the coconut water is bottled and packed. 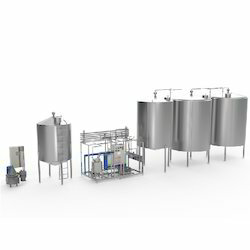 The bottling plant involves washing, filling, capping, cap sterilization, bottle cooling and labelling. sterilization temperature to kill the harmful microorganisms, while still being able to retain the fresh taste in the coconut water. As per the orders, the coconut water is bottled and packed. 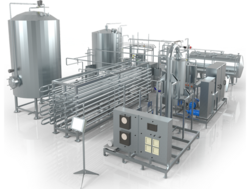 The bottling plant involves washing, filling, capping, cap sterilization, bottle cooling and labelling. The machine adopts international advanced technology to fill the PET bottle. The plant works harmoniously with an air conveyor belt. It holds the bottle by the neck, thus reducing the possibility of bottles falling over during the conveying process.